The Cage Pendant Light by Diesel Living is visually inspired by miners’ lamps, which are protected by a metal grid structure. 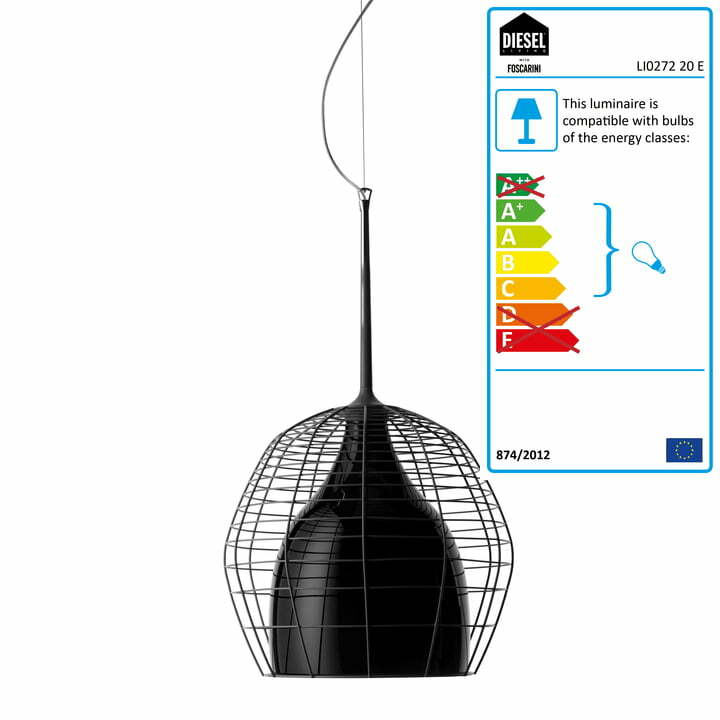 Thanks to the handicraft manufacture, the characteristic colours and some irregularities in the pattern, the rough character of the miner's lamp becomes a decorative element in the Cage lamp. 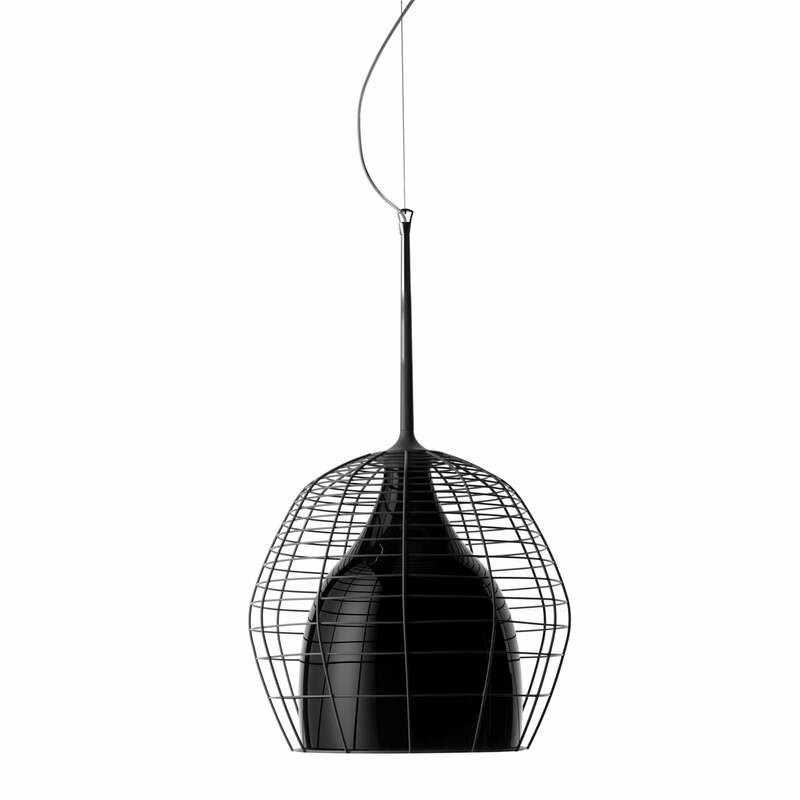 The Cage lights are made of hand blown and lacquered glass. Framed by a metal cage, we get a special mix of material and the rustic look, which spread an industrial charm in any living area. The grid-like metal lampshade in the colours black and white can be combined with a glass shade in black, white or bronze. Therefore, a total of 5 different versions are available. With a diffuse light directed downwards, the Cage Pendant Light is suitable for highlighting spots of specific areas. The light shines through the white or black lampshade softly in all directions, but the bronze shade keeps the light from shining through and directs the light directly downwards. Equipped with a fitting for E27 bulbs, the Cage lamp works with different light bulbs of up to 105 watts as well as LED retrofit illuminants for up to 20 watts. 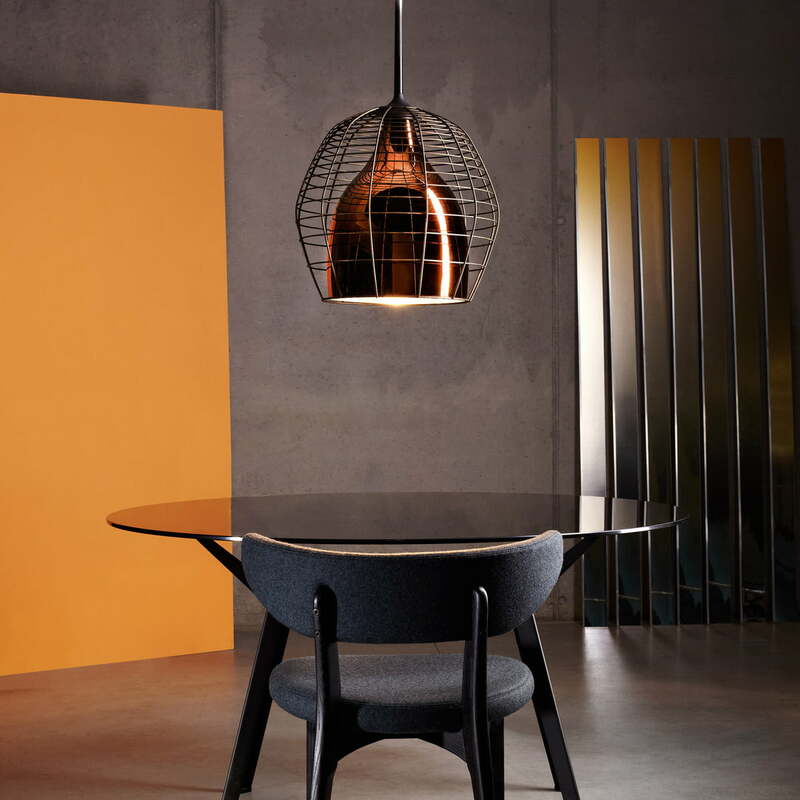 The Cage Pendant Light by Diesel Living is an exceptional lighting object with industrial charm. The lights can be arranged into exceptional light compositions in different sizes and colours. It is not only ideal for your home, but also as an eye-catcher in restaurants, cafés or bars.